Safety, Quality and Innovation . . . because we care. Safety is our paramount priority. Our furniture is designed to exceed the industry standards and lead the way in best practice. We continuously innovate our product designs, our materials and methodology to provide the safest possible environment for your baby – using the expertise of independent ergonomists and experts within the regulators. Our cots are tested to Australian and New Zealand Safety Standards AS/NZS: 2172/2010, by the same test facility used by the ACCC, AFRDI- Furntech. 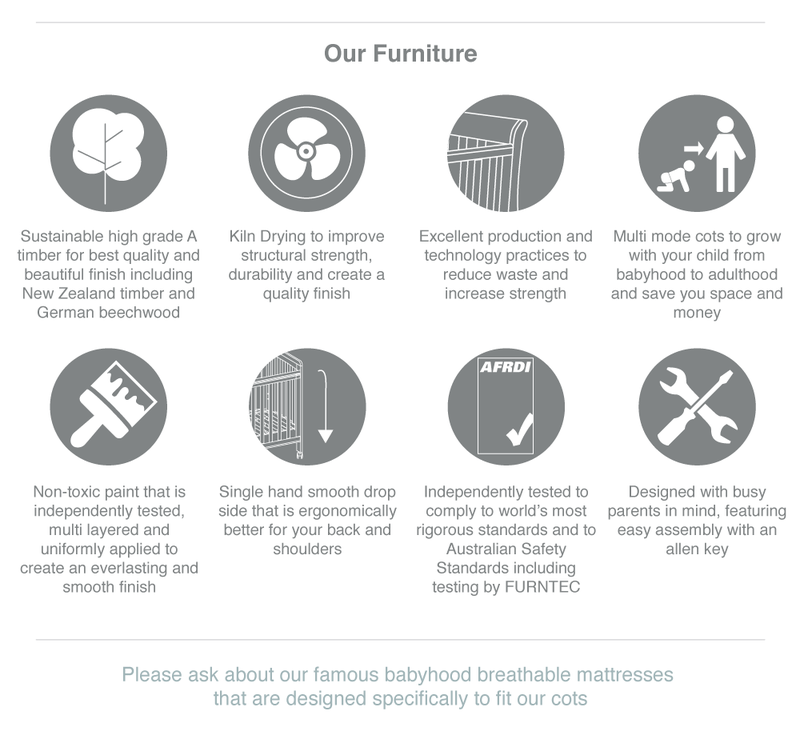 We use beautiful quality timber to innovatively design cots that grow with your child from birth, toddler and even some to adulthood, providing you real value – with all the features you need. We recognise and respect that we all have a role to play to create more sustainable products, for a better world for our children.